Slovenia. If I were to tell you the truth about this Eastern European country, I'd tell you that it took me exactly 0.0 seconds to fall in love with it. That, and it's one of the most underrated countries I've had the pleasure of visiting. Ever. I adore Slovenia for many reasons, one of them being the spellbinding views and picturesque landscape. Another is the budget-friendly price, which is low compared to European standards. However… the best part of Slovenia is that most people haven't discovered what a hidden gem it is (yet), and that's why you should visit now. Visiting Slovenia is like stepping into a fairytale. It's a wonderland of ever-changing scenery and ethereal beauty of the nature. 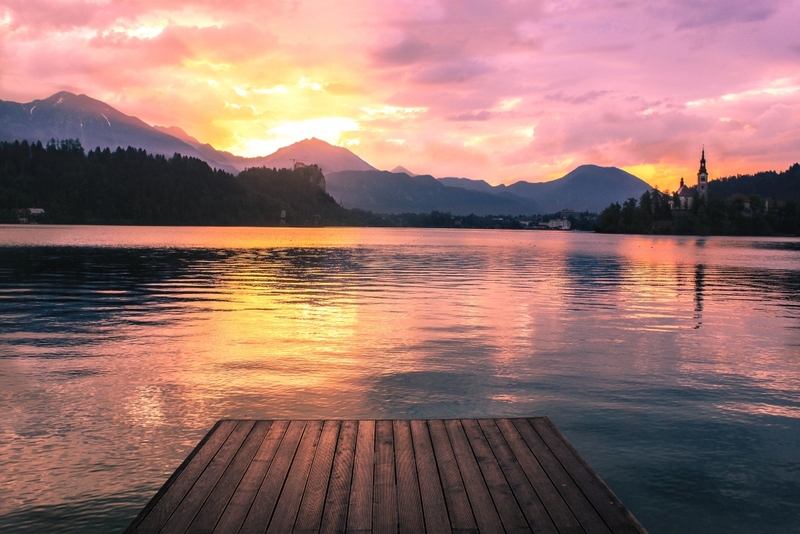 Lake Bled is one of those serene and fairytale-like locations. And it's also one of my favorite places in Slovenia. The landscape here is so spellbinding that I immediately wanted to stay and write that book I've been talking about for a gazillion years. It tends to have that effect on you. There is a church with a looming spire on Bled Island. Lots of people get married here, and according to tradition, it's good luck if the groom carries his bride up all 99 steps. Aside from the fairytale scenery, Slovenia is the perfect place for outdoors activities. Hiking, biking, skiing, kayaking, and paragliding are just some of the many ways to be adventurous. Slovenians themselves are also quite active, and they especially love their mountains. So much in fact that according to locals you aren't a real Slovenian until you've climbed Mount Triglav, which FYI is obnoxiously challenging. I haven't met a Slovenian – young or old, man or woman – who has not climbed it. 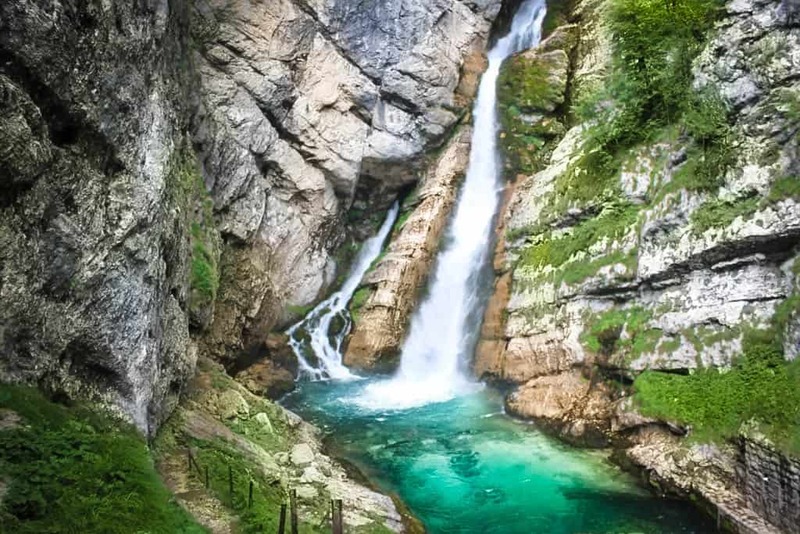 If you're as much of a waterfall enthusiast as I am, you'll be thrilled to know that Slovenia has more than 300 different waterfalls, one more gorgeous than the other. 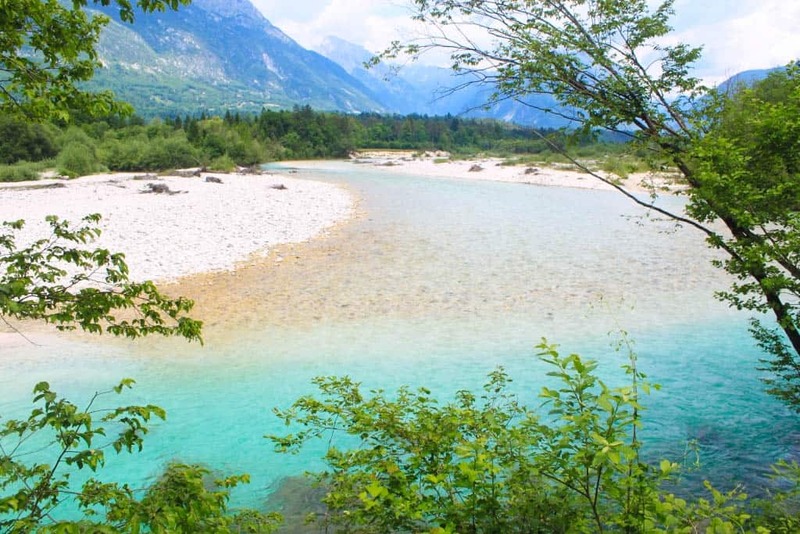 There are some really pretty ones in Soca Valley and in Bohinj. Another must-do activity is hiking. 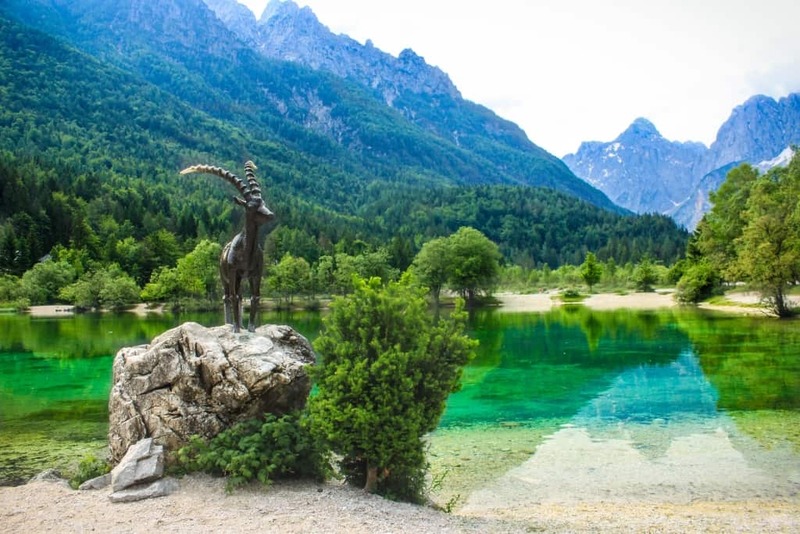 Slovenia is home to the Julian Alps which is a hiker's wonderland, and you can choose both challenging trails and easier walks along the valleys and foothills. (tip! tip! tip!) If you're at Lake Bled, climb Ojstrica hill for stunning views over the lake. The hike is steep, but the view is SO rewarding. Slovenia is also an excellent destination for biking, both on-road and off-road. I did a bit of both and can highly recommend. War history, legends and folktales are a significant part of Slovenian heritage. You will hear tales about gods and fairies, about sacred mountains and how towns came to be. I passed an old war monument on my way through the Vrši? Pass in the north. The road though the pass was built by Russian prisoners during World War 1 to supply the front line, but an avalanche swept through the mountains and killed almost everyone on site. 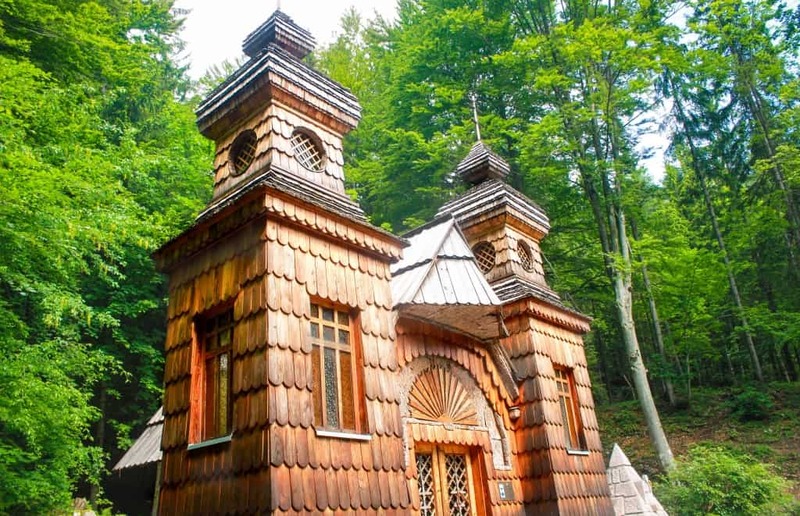 The road was renamed Ruska Cesta, the Russian Road, in their memory and is marked by a Russian Orthodox Chapel. Other cultural monuments are the beautiful churches. Slovenia has thousands of them, and the most beautiful ones are placed on remote hilltops or surrounded by mountains. Getting around Slovenia is easy, although it's a bit difficult to pronounce some of the town names, especially Ljubljana (li-ubli-anna). 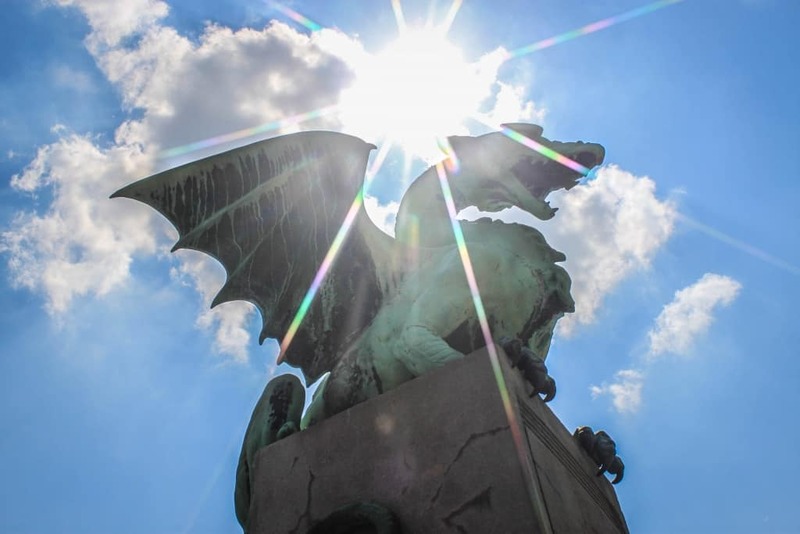 In the cute capital of Ljubljana you'll find gorgeous architecture, creative street art, cosy café culture, an enchanting castle, romance, and lots of dragons. And, you can spend a night in a former Yugoslavian prison. Another great reason to visit Slovenia is the wine. The quality is striking, and you can get various sparkling wines, pearly, sweet wines or liquor wines. 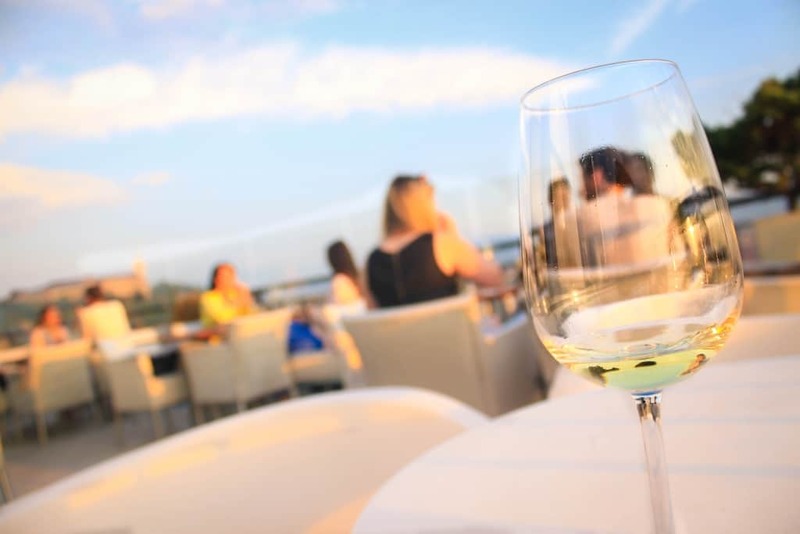 Imagine sitting on a rooftop bar, enjoying a glass of well-chilled, fresh & dry wine with a cold appetizer, while watching the sunset in the horizon. It is D to the Licious. I've seen many spectacular sunrises in my life, but none have been as enchanting as those in Slovenia. The snow-capped mountain tops, the fairytale castles, the enchanting forests and the magical glacier lakes simply makes the perfect settings for a sunrise. 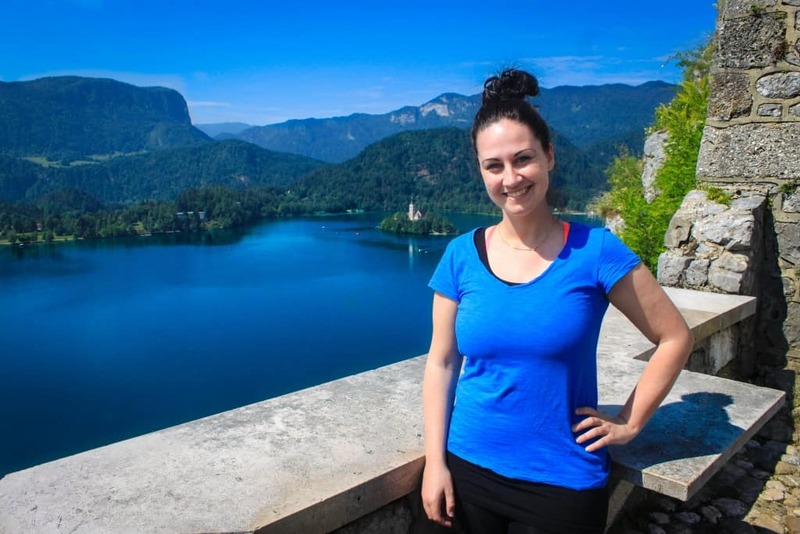 Miriam is a travel writer and fearless adventurer (sort of). 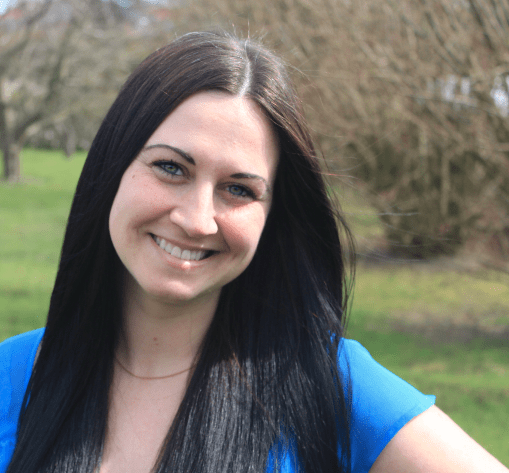 Her passion is sharing the culture and personality of a location with readers, and to help amazing, adventurous people – yep, just like you – experience just how wonderful this world is. She blogs over at Adventurous Miriam. You can also follow her adventures on Facebook, Twitter and Instagram. 24 Responses to "Why you should travel to Slovenia right now"
Wow, you’re pictures are amazing! We picked up some fantastic tips here for our own visit to Slovenia, such an incredible country! I’ve only passed through Slovenia twice and spent a night at the most. Now Im regretting I didn’t explore! 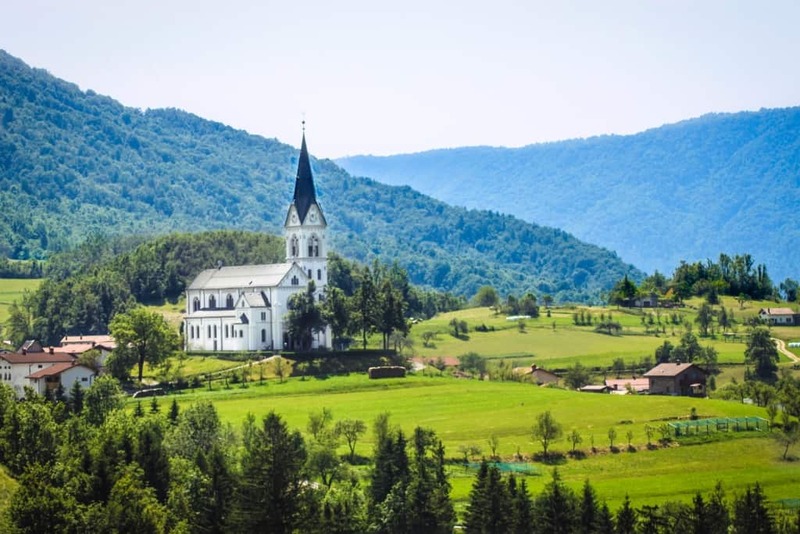 Although you have directed my attention to the beauty of Slovenia, and it is beautiful!, there are two things missing from this article, the people and the culture of Slovenia. Any thoughts on that? 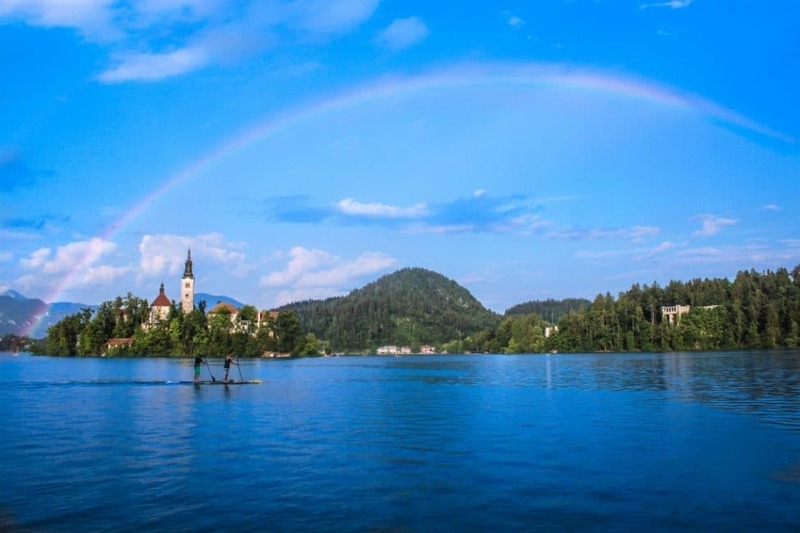 Although well written post with great pictures (awesome that you could capture the rainbow above the island of Bled), you do not know your geography, neither the history. Slovenia is in the same Latitude as we are (Sweden) and has historically not been a part of the Warsaw Pact (which is distinctive for the Eastern European countries -> from the economical, cultural and many many other aspects). Austria, Switzerland and Slovenia (part of Yugoslavia at the time) were neutral countries during the cold war, which made them capable of do traiding to both Eastern and Western Europe, thus develop quickly compared to the isolated Warsaw pact countries under strict communism. Also, the country never had communism in the sense that left countries that had it in the shape they are today (e.g. Slovakia, Poland). Be consistent with your writing and correct your headline to what (probably) Slovenians told you already before. Also, next time take a boat from Piran in Slovenia to Venice -> that’s on my agenda the next time I am in the region. 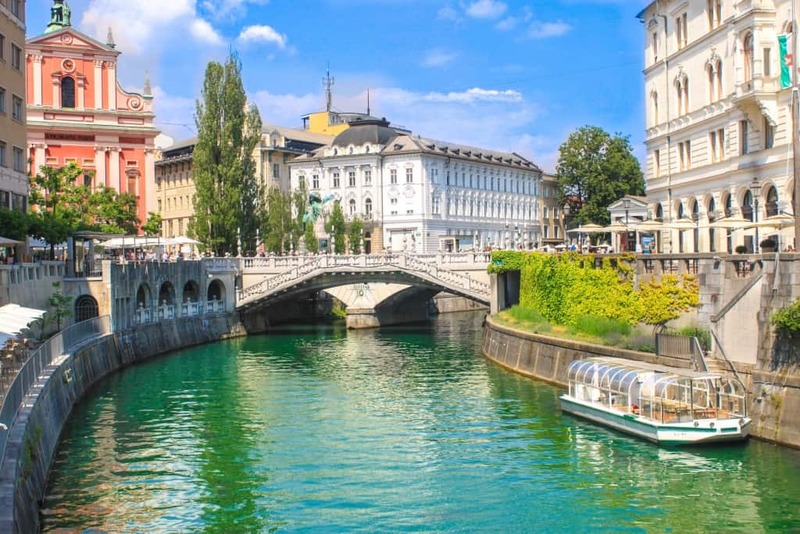 Slovenia is situated in Central Europe and is geographically and culturally significantly distinctive from Eastern Europe. Please, correct that in your post. I also fell in love with Slovenia. It’s natural beauty, the climate, the clean air and the fantastic natural produce. So I started my business importing the finest Natural Sea Salt I have ever tasted. Piran Sea Salt is now distributed by Turners Fine Foods, Metrow Foods and Fresh Direct (Scotland). Coming soon! A range of Piranske Soline and Lepa Vida products will be available delivered to your door. Sign up to receive an introductory offer. I hope it will, Nina, and well done on climbing Mount Triglav. I’m impressed! Slovenia– beautiful nature and amazing food. Slovenia is one of those places that keeps calling me but I just can’t quite get enough time to finally visit it. I think this post has made me determined to fit it in to my next trip to Europe. I love underrated destinations and some of my favourite travel experiences are from lesser known travel destinations like the island of Ko Lanta in Thailand that happens to be one of my favourite places in the world! Wow, the photos are breathtaking! This makes me feel like taking another trip to Slovenia again. The last time I was there (a few years back), I stayed with a host in an apartment I booked on roomorama. She brought me to Lake Bled, and I remember how mesmerised I was. It was stunning. Coming from a city that has few natural places, Slovenia is certainly dreamy. Cannot wait to return and visit again! I have to say I fell in love with Slovenia instantly – sounds like a terrible cliché but it´s true! 🙂 The sceneries are just stunning and it´s a real paradise for nature and outdoors lovers (though its little towns are lovely, too). I´m sure I´ll be back one day! Looks like Slovenia has a lot of untouched land. As a photographer, I loved landscapes and that last photo of the sunrise shows the beauty of Slovenia. On my bucket list. Hi Miriam, thanks for sharing the beautiful images and tips on Slovenia. We just finished slow traveling through Europe for 8 months and Slovenia is one of the places we didn’t manage to visit and probably our number 1 regret. It really looks like our kind of destination with plenty of opportunities for what we call “balanced travel”…incorporating exercise, nature and cultural experiences into our regular sightseeing. Have you been there during the winter months? Is it still a good place to visit then? I ask because we tend to travel during the off season. 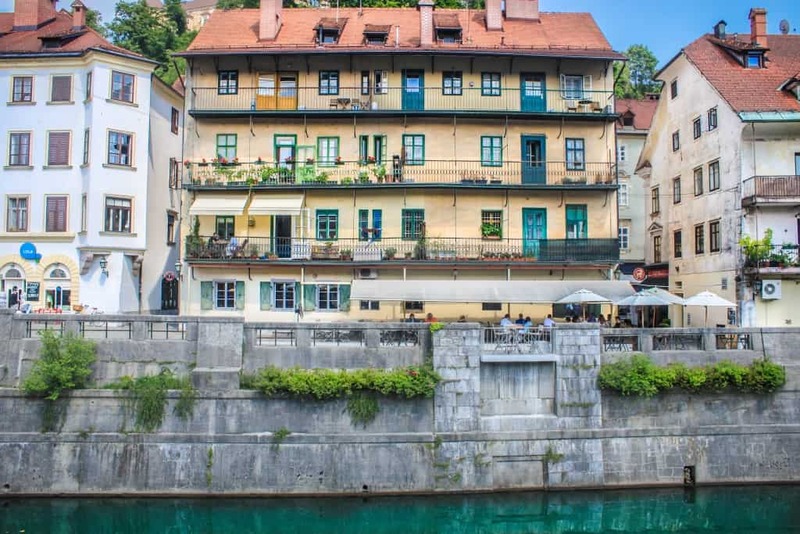 I did a day-trip in Ljubljana (from Croatia) and loved it! 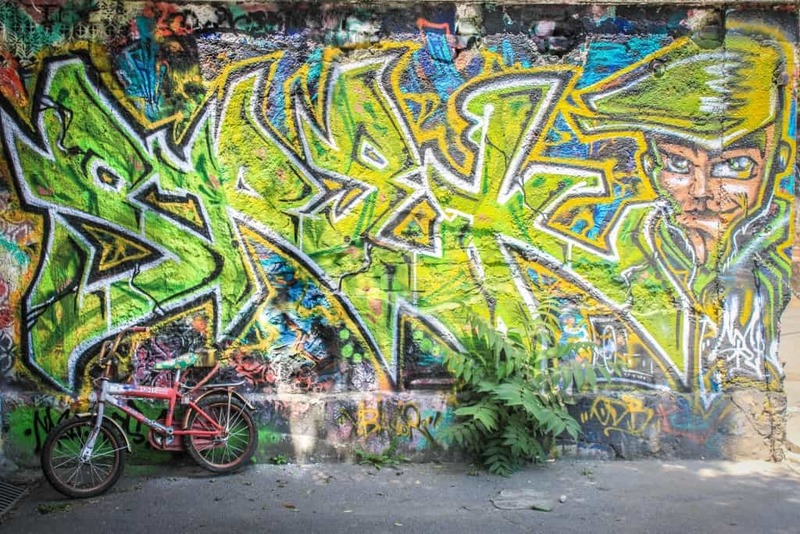 This is a really great article and you’re right by saying Slovenia is still a hidden gem in Europe! I’m planning to travel to Slovenia myself in September and reading your story about this country has just confirmed that this must be a great vacation destination 😉 Thanks for sharing! I’m convinced! hehe I’ve wanted to go to Slovenia ever since a friend of mine came back from Europe years ago raving about how Slovenia was the most beautiful country in all of Europe (she had travelled to almost all of Europe). Next time I get to that part of the world, Slovenia is top of my list! The moment we stepped off the plane, we were in LOVE! We still have so much more of Slovenia to see and can’t wait to get back to it! Great pics, btw! Some great photos! We just came back from Slovenia and really enjoyed Ljubljana, really pretty little city and very clean. Also enjoyed Piran on the coast – actually feels like a little sliver of Italy having been a part of the Venetian empire. I hope you do, Elizabeth. Slovenia is absolutely breathtaking! so happy to hear you liked our country 🙂 Great post and beautiful photos, which I am sure will attract more people to visit us! Oh and who knew, I’ll learn something new – did not know there are 300 waterfalls in Slovenia 🙂 And yes, for a real Slovenian, climbing up to Triglav is a must! (done it my self as well). Ooooh Slovenia has been popping up all over the place lately and I’m dying to go! It looks amazing and I love all of the outdoor possibilities! Thanks so much for having me, Dave & Deb!